HomeWhy are Mormons obsessed with Jews? Why are Mormons obsessed with Jews? I think Walt is partially right. It’s difficult, for instance, to explain why America remains so pro-Saudi and anti-Iranian—when Saudi Arabia has far closer ties to the Al Qaeda and Islamic State group terrorists who have struck the United States — without factoring in the clout of the American Israel Public Affairs Committee and other “pro-Israel” groups. But what Walt misses, at least in his Forward column, are the deeper roots of America’s affinity for the Jewish state. Groups like AIPAC and Christians United for Israel don’t come from nowhere. They exploit a sympathy for Zionism that grows out of the American experience. I came to understand that better on a recent trip to Zion — Zion National Park, in Southwest Utah. Utah’s politicians are wildly philo-Semitic and pro-Israel. In 2009, The New York Times reported that the state’s senior senator, Orrin Hatch, wears a mezuza around his neck and keeps a Torah scroll in his office. He’s also recorded a song about Hanukkah. Utah’s junior senator, Mike Lee, denounced Barack Obama for proposing a two-state solution based on the pre-1967 lines, and in 2016 posed for photos with a settler leader in Hebron. So when “pro-Israel” types say that Americans and Israelis share values, they are right. Underlying those values is a common story. Many American Christians — not just Mormons — see themselves as having fled religious persecution and built a prosperous democracy on a rough frontier. The historical relationship between Mormons and Southern Paiutes is not the same as the historical relationship between Jewish Zionists and Palestinians. Jews believed they were returning to the land from which their ancestors had been expelled; Mormons did not. Mormons tried to convert the people they encountered; Jews did not. In both cases, however, the people fleeing persecution ended up displacing many of the inhabitants already living in their promised land. In 2013, the Native American and Indigenous Studies Association became only the third American academic organization to endorse a boycott of Israel. That’s the flip side of Orrin Hatch’s fervent support. Luckily for Benjamin Netanyahu, Mormons wield significant influence in American politics. And equally luckily for him, Southern Paiutes do not. This story "Why are Mormons obsessed with Jews?" 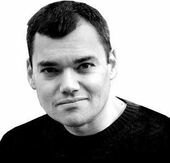 was written by Peter Beinart.